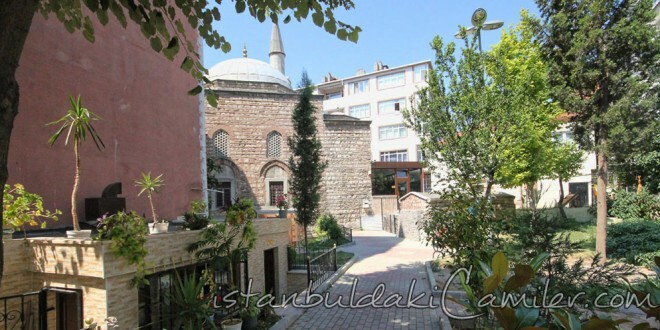 Debbagzade Hajji Huseyin Effendi who was the majordomo of Sheikh al-lslam had this mosque, which is also known with the names “Masjid of Debbagzade” and “Debbagzade Haci Huseyin Kethuda Mosque” built. Since the benefactor of the mosque passed away in 1718. The mosque is supposed to have been built before this date. One day, at a time when the benefactor Hajji Huseyin Effendi was in the garden of the mosque, a man came to ask “who the benefactor of the mosque was?” upon this question he answered the man “don’t ask, get in” (sorma, gir) and the mosque was later called “Sorma Gir Mosque” as well. Having completely demolished after a fire in 1915, only the remaining of its walls left and its land is invaded by the squatters. It was literally rebuilt in 1979 by the Association of the mosque by clearing the area from squatter’s houses. The last congregation section of the mosque that is built with a single main dome is covered with three little domes. It has got a single minaret with a single balcony. Its minbar and rostrum are of wood whereas the mihrab is built of plaster of paris. It also has a public fountain built in 1732 and a well that is not being used. The benefactor Debbagzade Hajji Huseyin Effendi rests in the graveyard of the mosque.